To achieve maximal realism is fundamental in racing simulators. Realism comes from the captivating sensation of the track and everything around it: the electrified atmosphere of the starting line, the adrenaline rush of overtaking, the sharpened senses you have at the very limit of traction. What are the Real Drivers Made Of? Reaction time is everything when it comes to overtaking opponents or taking corrective action to prevent loss of tire grip. Simulator’s ultra low latency not only keeps the driver a step ahead, but also naturally removes barriers between the simulated world and the driver. There is no latency in the real world – and in the perfect simulation neither. We, humans, are naturally built to perform optimally in such world. By coupling a wheel directly to an extremely fast responding direct drive torque motor, the driver will open a straight portal into the physics of the simulated race car and track. Such ideal torque transducer adds nothing of it’s own to be felt – it’s just a pure connection to the road behind the wheel. Direct drive is the only known method to achieve sub-millisecond latency and real-life race car dynamic range – the keys to true transparency. Sensing the tiniest changes in the tire grip same time with high steering force of sharp corner will transmit the forces of every part of race car to the driver is the way it works in real-world. High dynamic range of force feedback equals to maximizing the flow of physical information from the simulator the the driver. It happens to be the peak force moment when there is the greatest need to precisely sense the emerging loss of grip. Being able to sense that enables the driver to utilize 100% of the race car potential. By passing the simulator’s sometimes coarse digitally sampled force commands through force reconstruction engine, the driver will be able to feel the force feedback as it was intended by the simulator’s physics engine. Moreover, the real-nature based modelling inertia, damping and friction effects calculated right inside the simulator hardware will make the driver feel as if they were connected to the real world – not to simulator. 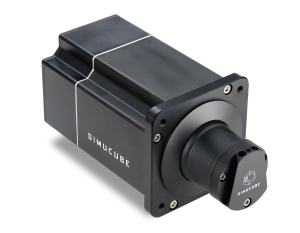 ​Simucube 2 works with simulator games and reconstructs the authentic environment. Thanks to Simucube 2’s dedicated processor for motor control, and another processor for interfacing the PC simulator, the ultra low latency is stable and consistent. 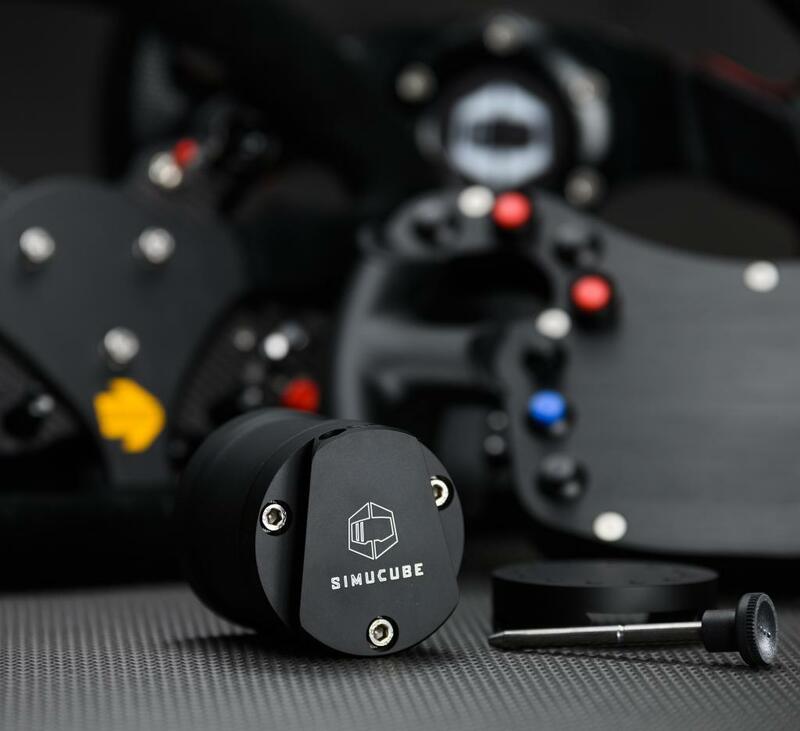 With Simucube’s award winning force reconstruction processing, ultra low latency mode and adjustable dynamic filters, the Driver can reach realism. Once you experience it, there’s no turning back. Sport comes with 17 Nm of direct drive torque and Simucube 2 benefits. This wheel base is a match for Sim Racing enthusiasts. SC2 Sport delivers serious amounts of juice to bring up adrenaline filled sweat to the skins of the drivers. Sport has comparable responsiveness and performance of the top-end models of world famous Simucube 1 . Combined with exceptionally high torque response rate Pro motor, the sharpest kinks will be delivered at a clarity not seen in Direct Drive scene before. Torque response rate is adjustable to driver’s preferences. 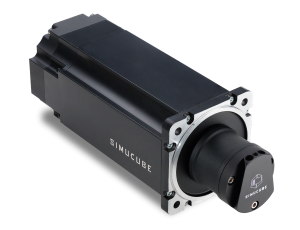 Simucube 2 Pro is destined to set the new golden standard for high-end class Direct Drive wheels. Abundant 32 Nm of torque and maxed-out torque response rate is at your disposal at anytime. Ultimate is based on Austrian made maximally dynamic industrial motor optimized for simulation. 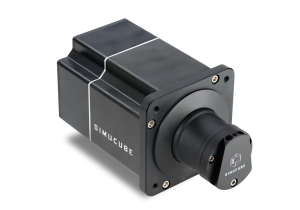 It’s equipped with a 24 bit resolution Hiperface angle sensor to be fully utilized by the most advanced signal processing unit seen in simulators. Ultimate exclusively comes with advanced fine tunable signal processing to make the experience as personalized as humanly possible. This model was designed with “only the best is good enough” mindset.